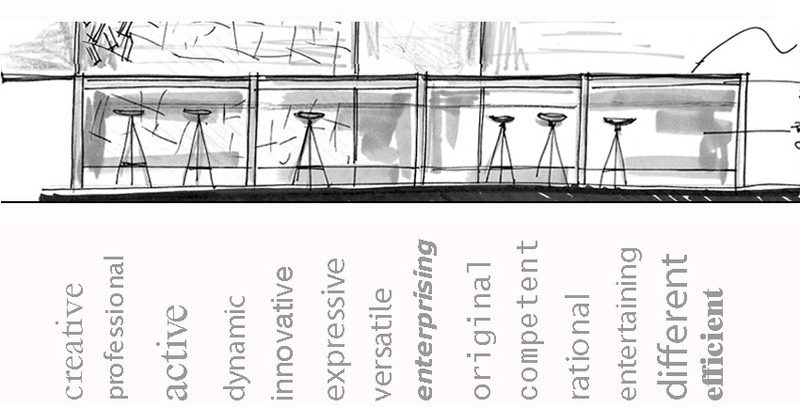 Creative, professional, active, dynamic, innovative, expressive, versatile, enterprising, original, competent, rational, entertaining, different, efficient. Interior Design, Shop and Offices, Team, Creatiu, Media Contact. Blauet, Delta-light, Vibia, LZF, Manufatures Celda Il.luminació, Modiss, Lucente, Weber Ducre, AIC, jmm, DEDON, VONDOM.